Data is from the July 2015 JustSystems "Monthly Mobile and Social Media Survey: June 2015 Edition." 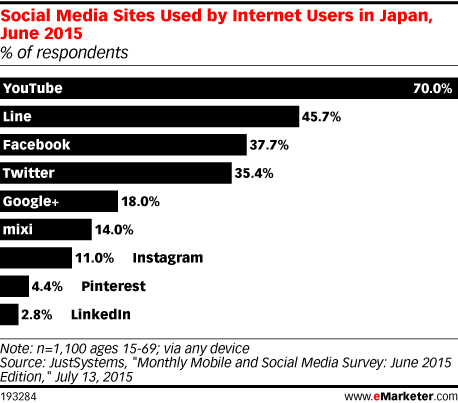 1,100 internet users ages 15-69 in Japan were surveyed online during June 25-July 1, 2015. Respondents were members of the JustSystems Fastask online panel.